New Quote Feature To Help Boost Your Sales! Sometimes, a simple stand-alone price will not do the job. At times, a more detailed explanation of customer needs, quantity required or just the opportunity to add that personal touch is needed to seal the deal. This is where the new quote feature can be used to maximise sales. Quote: A Price As Unique As The Job. SO WHEN WOULD YOU USE THE QUOTE FEATURE? Family group portrait. Five people and twenty-five people are very different! Destination weddings. Perhaps you specialise in weddings in Europe but the client is getting married in Thailand. In the past, items have been set at a fixed price, however, you can now give your client the opportunity to request a custom quote from you. This is incredibly simple to do and literally takes two minutes. All it takes is adding the word quote instead of a price to the desired product. 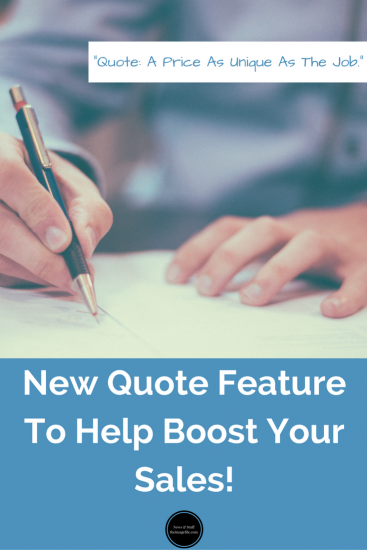 For more information on how to set up the quote feature click here.